CHARLESTON, S.C. - The judge in the case of a former South Carolina police officer who shot a fleeing black man has declared a mistrial. Michael Slager, who is white, is charged in the death of 50-year-old Walter Scott, who was shot five times in the back in April 2015 as he fled a traffic stop after his 1990 Mercedes was pulled for a broken taillight. A bystander’s cellphone video of the shooting shocked the nation, inflaming the national debate about how blacks are treated by law enforcement officers. Monday’s decision comes after a monthlong trial, during which jurors heard testimony from 55 witnesses. 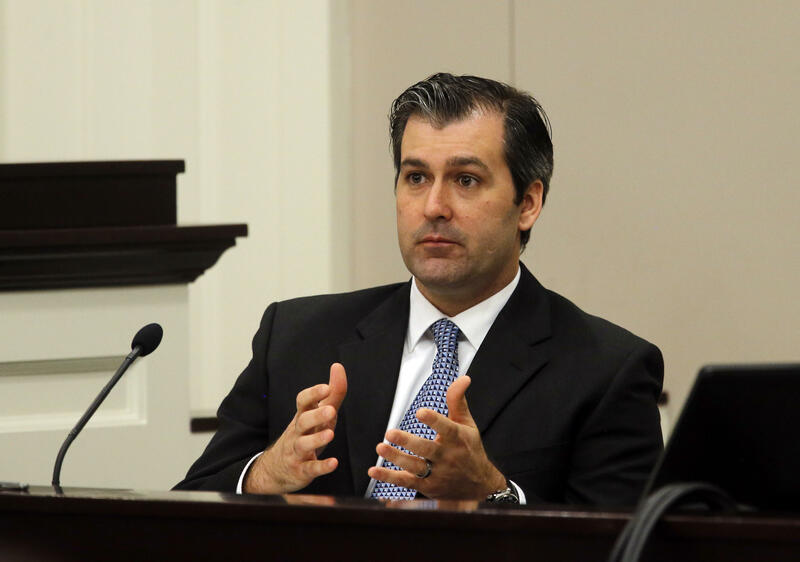 The panel weighed possible murder or voluntary manslaughter convictions for Slager during deliberations that spanned more than 22 hours over four days. On Friday afternoon, the jury announced they were unable to reach a unanimous verdict, but a judge sent them back to continue deliberations. Around 4:30 p.m., Judge Clifton Newman read a letter from a single juror who said it was impossible for him to agree with the other jurors on a guilty verdict. Newman read in court the letter, in which the juror wrote he “can’t in good conscience approve a guilty verdict” and would not change his mind. But when the judge asked the jury foreman if he thought further deliberation might yield a unanimous verdict, the foreman answered yes, and the jury told the court they wished to return on Monday morning. A note Monday, however, said that “the majority” of the jurors on the panel of 11 whites and one black were still undecided. Jurors Monday had a number of questions, including why voluntary manslaughter was added as a possible verdict and whether the definition of self-defense for police is different than for civilians. Newman read the panel additional instructions in response to their questions around 12:45 p.m. Around 3:40, jurors announced they were still unable to come to a consensus, and Newman declared a mistrial. A murder conviction would have carried a penalty of 30 years to life. Manslaughter carries a sentence of two to 30 years imprisonment. Speaking after the court hearing, Scott’s family said they remain hopeful that another jury will convict Slager. They said the solicitor plans on re-trying the case, and Slager also faces trial next year in federal court on charges of depriving Scott of his civil rights. Scott’s mother Judy Scott said her faith leads her to believe that her son will receive justice. Slager’s wife, Jamie, cried after the jurors were dismissed and briefly put her head on the bench in front of her. She said “thank you for everything” to the defense lawyers as they left the courtroom. She did not respond when reporters asked if she wanted to comment. During the trial, the prosecution argued that the 35-year-old Slager let his sense of authority get the better of him. The defense maintained that the two men wrestled on the ground, that Scott got control of Slager’s stun gun and then pointed the weapon at the 35-year-old officer before the shooting. The defense also contended there was no way the officer could tell if Scott was unarmed. Much of the testimony centered on the cellphone video, which at times was blurry and shaky. The jurors saw it video numerous times, including several times frame by frame. The defense contended that there was much more to the case than the brief video clip that was seen worldwide. They focused their case on the seconds before the shooting that were not captured on the cellphone video, which was taken by a barber who passed the scene while walking to work. Slager took the stand and testified that Scott wrestled with him and grabbed his Taser and came at him with it. He said he was in “total fear” at the time he fired his gun. Slager, who was five-year veteran of the department, also expressed regret over the whole incident. “My family has been destroyed by it. The Scott family has been destroyed by it. It’s horrible,” he said. Last year, the city of North Charleston reached a $6.5 million civil settlement with Scott’s family. In the wake of the shooting, the city also asked that the U.S. Justice Department conduct a review of its police department policies with an eye toward how the department can improve its relationship with residents. It’s the second time in recent weeks a jury has deadlocked in an officer-involved shooting. A mistrial was declared Nov. 12 when a jury in Cincinnati couldn’t reach a verdict in the case of a former campus police officer who was also charged with shooting a black motorist.